Once upon a time, I ate oatmeal for breakfast every single day. Now, I eat it probably twice a week. I still like oatmeal, but it is no longer an everyday kind of food for me. There are just some mornings it doesn't sound good. But throw oatmeal in something else, like cookies or muffins, and I'm good to go on the oatmeal. So when I saw a recipe for Personal Size Baked Oatmeal on Pinterest (where else, duh? ), I decided it was worth a try. And it was soooo worth a try. I ate it for breakfast and lunch yesterday. And sometime mid-morning I finished the little bit of the Bean's that she didn't eat. Then it was my pre-run breakfast this morning. The recipe topping suggestions were walnuts, chocolate chips and raisins. The chocolate chips were a must, the raisins...how about blueberries instead?, we opted for a pecan/brown sugar crumble instead of walnuts, and finally we tossed coconut on a few (thanks to The Princess's brilliant suggestion). The chocolate chips are a hands down favorite for the girls, the pecan/brown sugar are my favorite, and the coconut was a hit. The blueberry are next on my list to try, but I'm sure they will not disappoint. Can you tell which ones my little Bean helped with? Even if you grease the muffin liners, they stick. I won't use liners next time. I will just generously grease the pans. The recipe easily makes two dozen, not 18 like it suggests. If you don't expect a muffin, you won't be disappointed. It took a few bites for The Princess to decide they were pretty good because she expected a muffin. I used 1/2 cup of honey instead of Stevia, and it is plenty sweet. The recipe tips suggest reheating for 45-60 seconds. I only had to reheat mine for 20 seconds and that was plenty. I think 45-60 seconds would practically destroy it. Just sayin'. So if you like oatmeal, head on over to Sugar-Free Mom's Blog and print out the recipe. Or head over to Pinterest and pin the recipe for later. Happy oatmealing. I shaved more than 4 MINUTES off my previous time! Needless to say, I was am pretty dang happy. I went into it with the goal of setting a new PR and felt confident I could do it because I had trained for the race, I knew what to expect, and I have been injury free for a while now. And I did it. 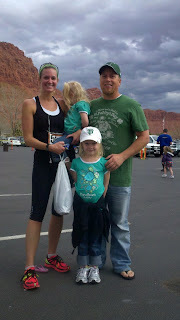 Finishing the race also meant I can add the St. George Marathon to my list of upcoming races because I did the Runner Series again this year. 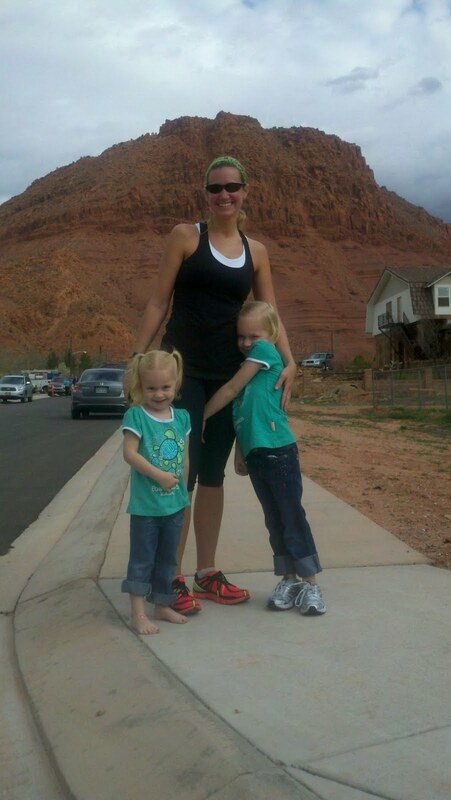 In spite of swearing off marathons after St. George last year, I decided to give it another try. Third time's a charm, right? The winner of the Vega One giveaway is Trumbelina. Please email your mailing info to me at ihaverun@hotmail.com! 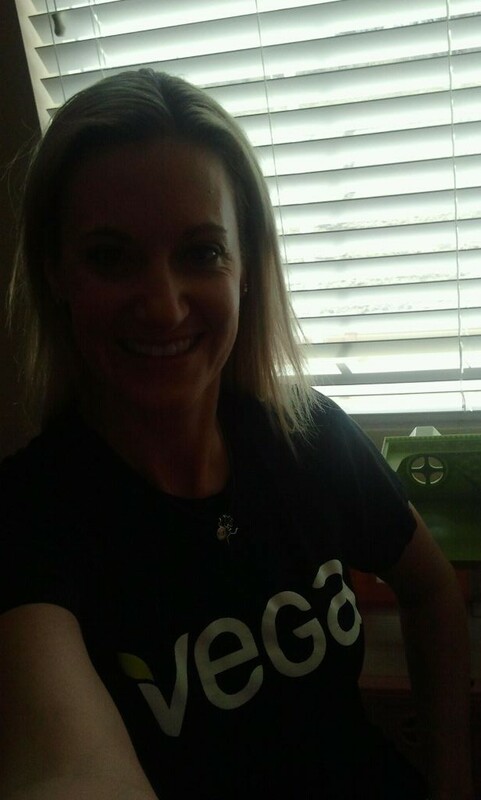 *Vega generously provided the shakes for the review and to give away in exchange for my unbiased review. You may remember my Vega Sport review (HERE) a few months ago. 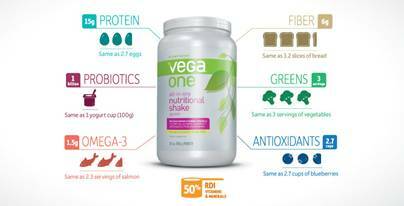 Well now it's time to talk about another Vega product line, the Vega One All-In-One Nutritional Shakes. So now for my thoughts. I first tried the natural flavor. I put it in my morning smoothie. I was a little surprised by the greenish color when I first added water. But it turned a lovely purple once I added blueberries, strawberries and bananas. I thought the Vega flavor would blend in subtly with the fruit, but it kind of took over. And it really changed the texture. I wasn't in love with it and prefer my Vega-free smoothie. But that wasn't the end of my Vega One adventures. Next I tried the chocolate. I really like the Vega Sport chocolate Performance Protein Shake, so I had high hopes for the Vega One shake. The flavor was pretty good. They all have a similar underlying taste, but this had a good chocolaty flavor. But again, the texture got me. I tried the chocolate mixed with just water, and it was a little gritty. So I decided maybe blending the shakes with a little ice was the answer. And it worked wonders. I am a vanilla fan, and the vanilla chai blended with water and ice was my favorite. It has a subtle flavor and the ice masked the gritty texture, as it did for the berry as well. I am not a berry fan when it comes to things like shakes, but I think anyone who likes berry protein type shakes would like the Vega One berry shake. Random.org will select the winner on Monday, March 19! Happy Birthday to my own little runnerd! 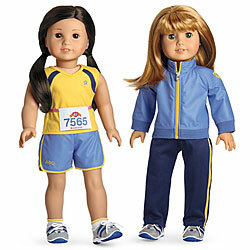 I love being inspired by others, especially when it comes to running and runners. I'm not talking about being inspired to run a little longer one day because your daughter keeps trying to pull your running shorts up a little higher on your waist because "your bum is showing" but what she thinks is part of your "bum" actually happens to be back fat. I'm talking about the inspiration that comes from people doing amazing things, having the courage to live their dreams. Especially when living their passion helps others live their dreams, meet their goals or just do something they never thought was possible. I don't know if you remember me talking about my cousin (in-law) last year when he placed in his age group at the Utah Valley Half Marathon, but he is an amazing runner. Whenever we see each other, we talk running of course. A while ago, he mentioned that one of his running partners was moving to Guatemala to set up a running adventure there. I didn't think much about it until I received an email a while ago from a guy named Greg introducing himself and the Mayan Running Adventure. Sure enough, it happened to be my cousin's friend. And Greg is out there, living his dream. I mean seriously. How could something that involves running as your job not be pretty great? 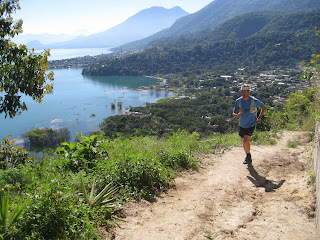 Greg Jensen is the founder and owner of Mayan Running Adventure. He has been running for over 20 years and decided to share his passion with others, which meant quitting his nine to five corporate job, selling his home and belongings, and moving to Guatemala with his wife Lucy and their four boys. They now live in Panajachel, Guatemala, nestled on the edge of majestic Lake Atitlan. Mayan Running Adventure is currently filling spots in the spring 2012 season and is offering a $250 discount off the regular price of $1995. When you register, just let them know you heard about it from Candice at I Have Run to get the discount. For more information or to register, go to www.mayanrunningadventure.com. You can also email MayanRunningAdventure@gmail.com or call 209-FUN-RUNS or 209-386-7867.